National Security Council spokesman Garrett Marquis says the U.S. “strongly endorses” Interpol’s current interim president, South Korea’s Kim Jong Yang, to hold the post permanently. He is running against Interpol vice president Alexander Prokopchuk, a general in the Russian Interior Ministry. Prominent Kremlin critics have raised alarm that the Russian official is close to President Vladimir Putin, and have pointed to Russian attempts to use Interpol to pursue opponents of Putin’s government. 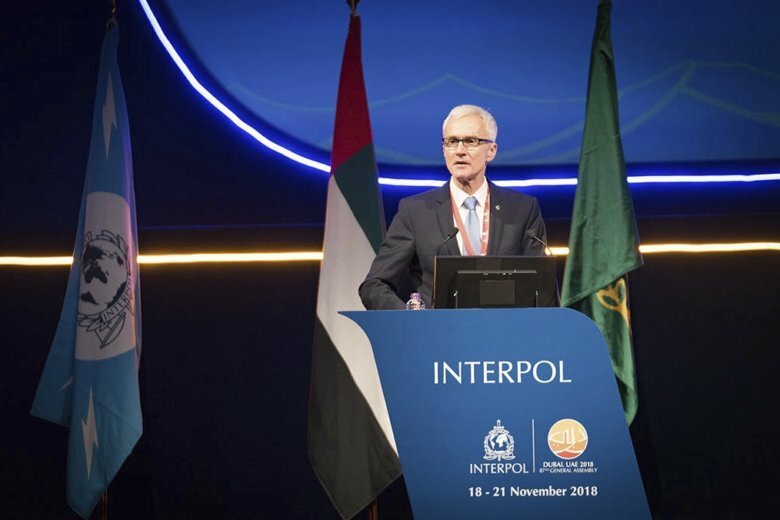 Interpol’s general assembly is expected to elect its new president on Wednesday in Dubai. Russian authorities are accusing unnamed Kremlin critics of trying to politicize the upcoming election of the Interpol president. Kremlin foes including financier Bill Browder, Mikhail Khodorkovsky and Alexei Navalny have warned that naming a top Russian police official to lead the international law enforcement agency will undermine Interpol and politicize police cooperation across borders. Interpol’s general assembly is expected to elect its new president on Wednesday. Kremlin critic Bill Browder says naming a top Russian police official as president of Interpol could undermine the international law enforcement agency. Browder says President Vladimir Putin has tried to use Interpol to hunt down critics and electing a Russian to lead the agency could intensify such efforts. Browder, who runs an investment fund that had operated in Moscow, has campaigned for sanctions against Russian officials charged with human rights abuses after his former lawyer died in custody. Alexander Prokopchuk, a general in the Russian Interior Ministry, is the front-runner to become Interpol’s next president. Browder told the BBC on Tuesday that Interpol shouldn’t put a Putin subordinate “in charge of the most important law enforcement” institution at a time when Russia is charged with using chemical weapons and hacking elections.